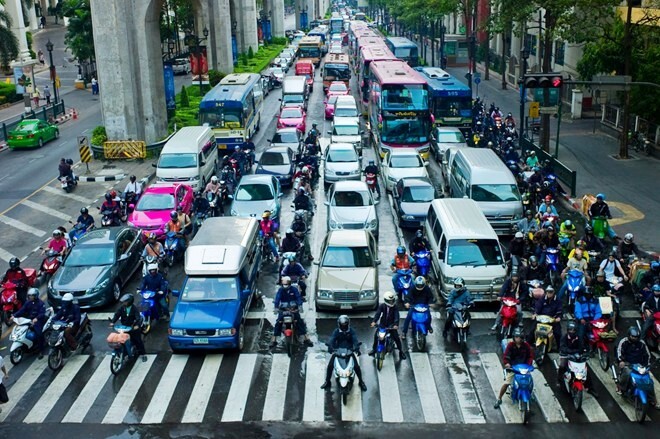 Yes, the traffic in Hanoi as well as any other city in Vietnam like Ho Chi Minh city, Da Nang, Nha Trang, Halong, Hue, Can Tho city... is very bad, you even can say it is very disordered. That's true! If you stand on the street in Vietnam, especially Hanoi, you will see the main transports are motorbikes and motorcycles. About 20 years ago, the main transport in Hanoi and Vietnam is bike but now has very little remained of this transport. Now, using the bike mainly women who is hawkers and they mostly walk. So, this means of transport is almost no danger to others. 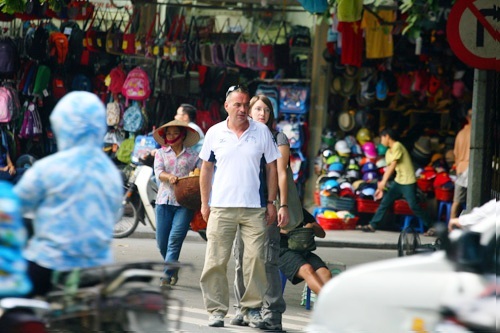 Taxis and motorbikes in Vietnam are the vehicles which really endanger for you when participating in traffic. 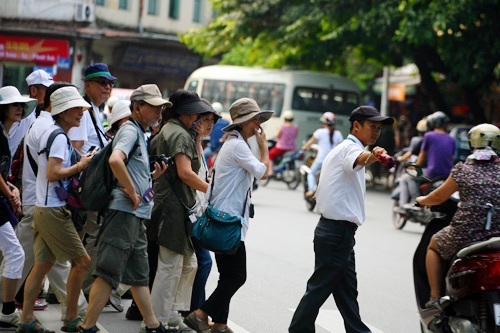 On very many forums I have read that cross the street in Vietnam is really fear, anxiety of many tourists and travelers who are traveling in Hanoi Vietnam. 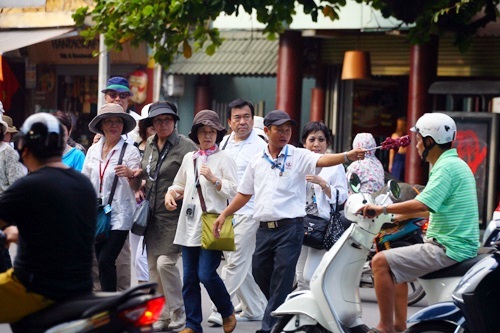 Yes, not only foreigner tourists, but many Vietnamese people and domestic tourists also very afraid, scared while trying to cross the streets. Me too! 1. On the big streets like Trang Tien street, Dinh Tien Hoang street, Le Thai To street, Ba Trieu and Pho Hue street (around Hoan Kiem Lake and Turte Tower), Hung Vuong street, Quan Thanh street (near Ho Chi Minh Mausoleum) Dien Bien Phu & Nguyen Tri Phuong street (lead to Imperial Citadel of Thang Long), Quoc Tu Giam (Temple of Literature)... you should wait the traffic light in the intersections turned to red light compeletly to cross the street on the lane for pedestrians. 2. Take a leisurely walk and move, look right and left of you. 3. On the small streets in the Hanoi Old Quarter like Hang Bong, Hang Dao, Hang Gai, Ly Quoc Su, Ta Hien, Luong Ngoc Quyen streets... where there is little of traffic lights and the roads, street lines are very small, narrow but crowded, you can not wait signal of traffic lights to cross the street. At this time, don't be afraid, step down and walk slowly to cross the street. If you step slowly, there will is not anyone and anyvihecycle crashes into, although you always think there are few cars and motorbikes which about to crash into you. 4. The best way, you should cross the road with a group of people, all bunched up together and go. Slowly and slowly, those control the means of transport who will avoid you. 5. Remember the advices of Thomas Fuller journalist of The New York Times: Be very confident and go slowly. Never run. Do not hesitate and make others guess what you are going to go.